I'm not real familiar with the mft/3, in your picture that shows your fence....is that the stock parts that come with it or something that you came up with? Looking for some type of fence w/stop blocks for my 20mm slab. I’ve been on a similar mission the last 18 months. The tape you used from Amazon would you happen to remember the the part number. I also purchased one from them and it was to wide to fit on the front like yours, did you have to trim it. That's what I was thinking .. should re-name his handle to "No-DustyTools"
@DustyTools Clever way to setup your CNC. Is it on sliders and if so what grade you use? 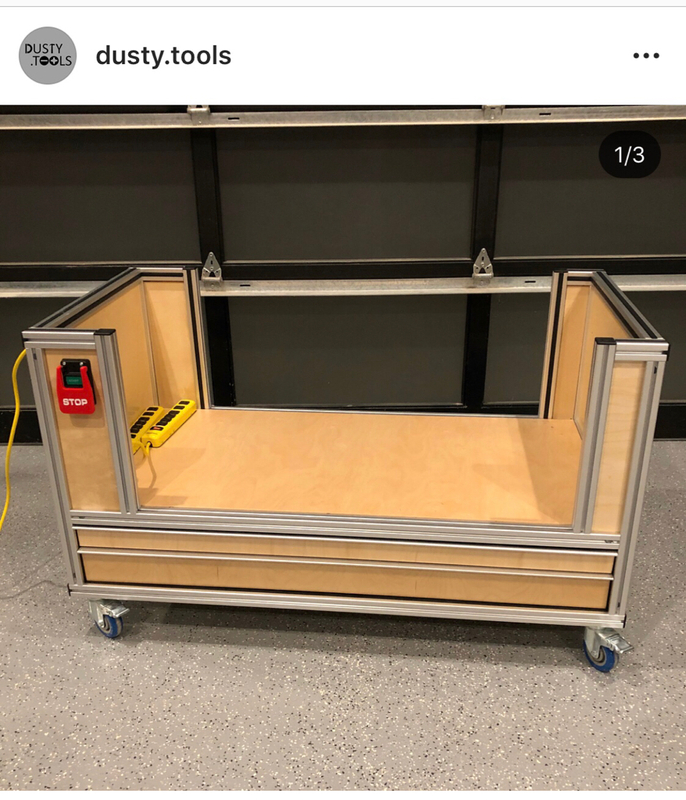 @DustyTools Clever way to setup your CNC. Is it on sliders and if do what grade you use? The whole cabinet rolls out when I'm doing a project. This photo shows the layout. It looks like I never posted a completed picture on my Instagram. I'll posted one soon. 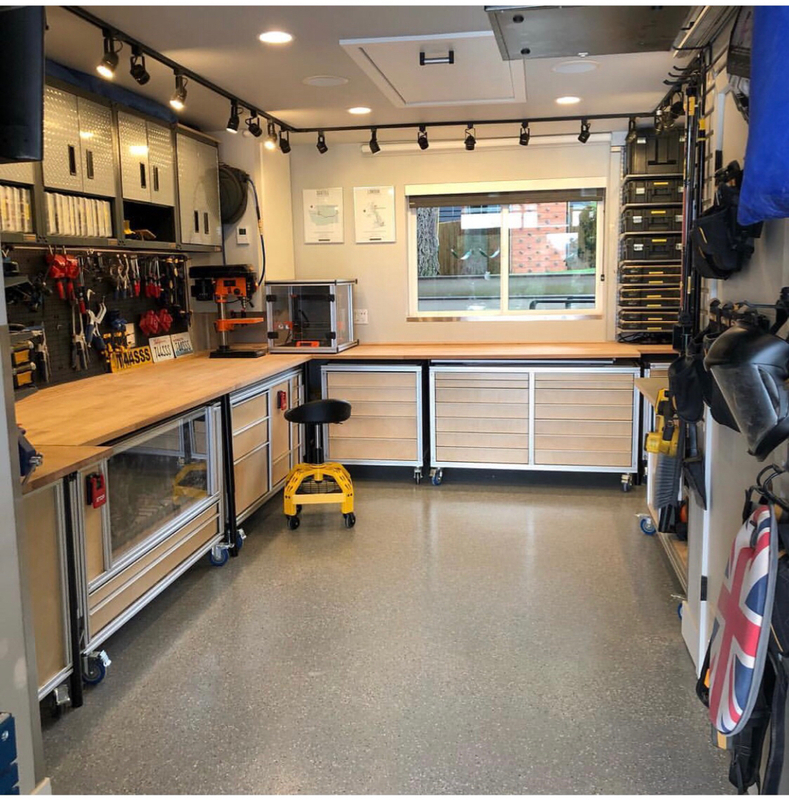 That's not a workshop...it's a lab. why should it be cheap? I use 80/20 all the time. The utility and modularity is well worth the price. What is often overlooked is that it can be disassembled at a future point for something else or modified to suit changing conditions. The ability do build a finished product in short order is fantastic. If you are looking at the price, compare it to all the effort of other less expensive materials. Not every project needs to be a time vampire of re sawing,planing, cutting, finishing, polishing. I think this is fantastic.